Integrated tabletop solution for luminous flux and radiant power measurement of LEDs. 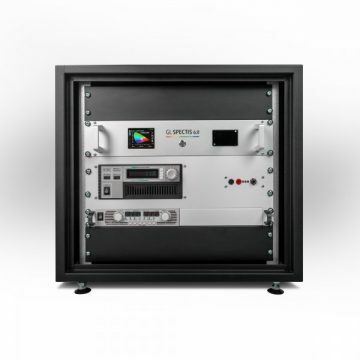 The GL Opti Sphere 205 offers an automated, easy to use alternative for measuring luminous flux and radiant power of LEDs and other small light sources. All measurements are compliant with the recommendation of the CIE Technical Committee published in the CIE 127:2007 Technical Report. The intelligent design of the Opti Sphere enables different adapters to be installed and allow measurement of a wide number of light sources. Front emitting diodes conforming to CIE recommendations can be measured at the wall entrance in 2π geometry. Other types of LEDs should be measured at the center of the sphere in 4π geometry. Configure the system as required by your application. 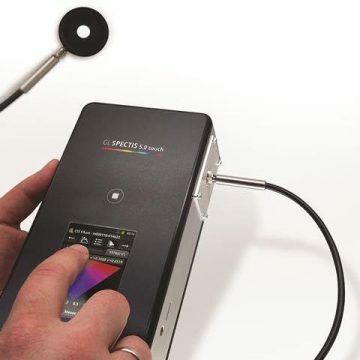 Choose from a range of spectrometers, use SMA fiber optics or direct connections plus measure 2pi or 4pi. These are just a few of the hardware options available. Extend your capabilities even further with any one of our powerful software analysis and automation tools. Designed as a tool for everyday use, the Opti sphere offers a great alternative to external labs or old technology devices. Get laboratory level color and radiometric accuracy in an instant on your desk, in your lab or on the production line. The integration system design of the Opti Sphere allows users to obtain all light properties at the click of a button. Say goodbye to complex hardware and software, and take control of your optical development. The Opti Sphere 205 was developed to simplify light measurement for single LED’s and small LED modules. Traditional systems are challenging to use, often sensitive to small physical changes and unintuitive software that make it difficult to obtain consistent results independent of the user. With peripheral integration, automated sequences are possible and make this issue a thing of the past. Inner walls of the sphere are coated with barium sulfate (BaSO4) which ensures high reflectance properties up to 97%. 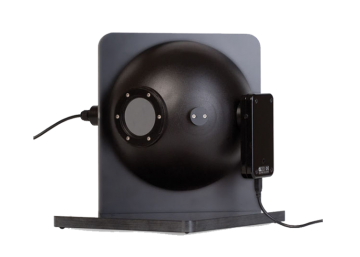 All GL Optic spheres are universal and can be used with any GL Spectis series spectrometer with a corresponding adapter installed directly on the sphere or via an SMA fiber-optic cable. The port of the sphere is equipped with a precisely designed 50mm aperture which can be used in partial flux measurements of LEDs. For this application, the test LED is installed outside the sphere at a defined distance and the flux is measured inside the sphere. Measurement of LEDs compliant with CIE 127:2007 and new CIE S 025/E:2015. This sphere also complies with other global standards and all American IES LM and European EN requirements for professional LED light measurement instrumentation. Appropriate accessories are available for specific measurement purposes. The GL OPTI SPHERE 205 features an auxiliary light source to compensate the self-absorption effect of the test LED. 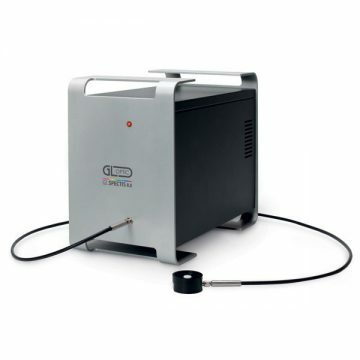 The integrated LED auxiliary light source is fully controlled by the Spectrosoft software to enable quick corrections and deliver optimal results.